Florida is the Identity Theft Capital of the United States. Since congress passed the Identity Theft and Assumption Deterrence Act of 1998, there have been harsher laws surrounding identity fraud. Basically, what this act did was utilize the newest technology to make it harder to steal someone’s identity and easier to catch the criminals doing it. Although there are harsher laws put into place for stealing someone’s identity, this type of crime is still on the rise. In 2012, Florida was named the identity theft capital of the United States. This state has had triple the amount of identity crimes on average than almost all the other states in the U.S., with Orlando placing number 12 in the country with an average of 147 complaints per 100,000 people. 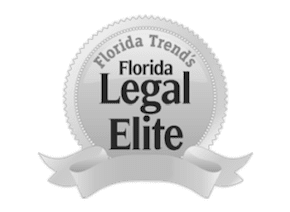 Illegally obtaining government benefits and credit card fraud are the leading identity crimes being committed in the Sunshine State, and once a person gets caught, he or she will need the help of an experienced identity theft lawyer in Orlando. As technology advances, so does the sophistication of the crimes associated with it. An effective legal defense involves an in-depth investigation of the charges with the help of computer forensic experts. Your freedom is at risk. Even your professional future is at stake with a theft crime on a public record accessible by prospective employers. Forgery and creation of documents, including driver’s licenses, birth certificates, passports, and checks, using the ever-growing and sophisticated technology in printing. Theft of a credit card or accessing the account online to withdraw money or make purchases. Taking Social Security numbers to secure loans and open lines of credit. When prosecutors build a case against you, they take into account not only the alleged actions, but also the impact they had on the victims. While a credit rating can eventually be restored, the harm is still done, in addition to the time it takes to correct a credit report. Convictions of identity theft and other computer crimes in Florida carry serious consequences. If caught, a person will not only face the possibility of up to 15 years in prison, but this person can also expect to pay extremely expensive fines. When you face the possibility of a lengthy jail sentence coupled with steep fines, you need an attorney who will fight to minimize the impact. We find ways to lessen the penalties, including restitution to the victim, and to have the charges dropped. Do You Need a Second Chance? Contact Us Day or Night. For any one dealing with charges of identity theft in Florida, it’s important to have the protection of a identity theft defense attorney that genuinely cares about your case and who will be aggressive in your defense. At The Umansky Law Firm, we are dedicated in protecting the rights of clients charged with identify theft and other complex computer crimes. To schedule a free initial consultation with an Orlando fraud attorney at The Umansky Law Firm, contact us through this website or call (407) 228-3838 today.